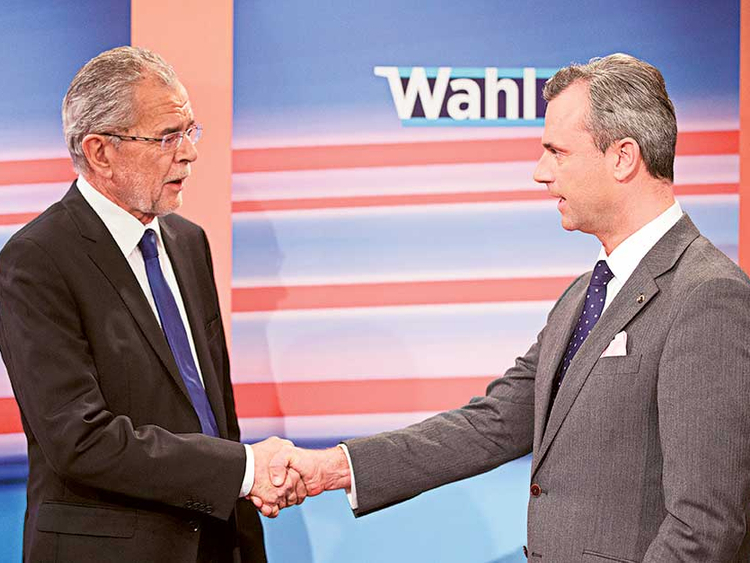 The FPOe candidate, Norbert Hofer, won the first round of Austria’s presidential election in April and then secured around half the vote in the run-off vote on 22 May. Far-right party ELAM entered parliament for the first time in May 2016 elections, securing two seats from voters stung by the island’s acute financial crisis in 2013. Affiliated to Golden Dawn in Greece which many observers see as neo-Nazi, ELAM has held demonstrations against Turkish Cypriots and migrants. It opposes the idea of reunifying an island divided since Turkey invaded the north in 1974 in response to a Greek-inspired military coup. The nationalist Finns Party (previously the “True Finns”) came second in last year’s general election. Party leader Timo Soini is Finnish Foreign Minister, in a coalition government. The party advocates strict immigration controls and argues that Finns, not migrants, take priority for social and health care spending. Its roots lie in rural Finland and it has championed welfare policies that give it a populist dimension. Many political observers see Marine Le Pen’s National Front (FN) as the biggest nationalist challenge to Europe’s liberal democratic traditions. Le Pen is expected to make a formidable push for the French presidency next year. It is anti-EU, rejecting the euro and blaming Brussels for mass immigration, because of the Schengen free-movement policy. The Islamist attacks on Paris in January and November, which nearly 150 people were murdered, raised alarm about jihadists taking advantage of Europe’s open borders. German politics has been shaken up by Alternative for Germany (AfD), a right-wing party launched in 2013 by economists opposed to the euro. Under leader Frauke Petry it has drawn ever more support by rallying against immigration. She sparked a furore when she suggested that border police should be empowered to shoot illegal migrants if necessary. Stridently anti-Islam rhetoric came initially from Pegida, a mass movement that started in the eastern city of Dresden, then spread to other German cities. The popularity of far-right Golden Dawn has surged during Greece’s economic meltdown. Members have been accused of serious crimes including murder. The party’s leaders went on trial in 2015 over the murder of anti-fascist rapper Pavlos Fyssas. Its vote was especially strong among people hardest hit by the crisis. The austerity demanded by Greece’s creditors turned many Greeks away from the political establishment. The anti-EU party wants to expel migrants and has distributed food in poor areas — but only to Greek passport-holders. Far-right Jobbik is the third strongest party in Hungary -— it won 20.7 per of the vote in the 2014 general election. Hungarian flags dominate Jobbik rallies, along with the red-and-white Arpad stripes, which are often seen as an echo of Hungary’s pro-Nazi wartime regime. With Jobbik support the conservative government of Prime Minister Viktor Orban erected a razor wire fence along its border with Serbia last year to keep migrants out. Orban and Slovak Prime Minister Robert Fico are suing the EU over its quota scheme for distributing migrants among member states. Both leaders say Europe has to defend its “Christian” heritage. Local elections last year delivered big gains to the Euro-sceptic, anti-immigration Northern League (Lega Nord) beyond its Venice power base. The influx of migrants from North Africa has put a severe strain on Italy’s asylum infrastructure and revived the fortunes of the Northern League. Some of the party’s politicians have made xenophobic comments about migrants. The party got 4 per cent in the last general election, in 2013. Geert Wilders, with his mane of blond hair, is one of Europe’s most recognisable nationalist politicians. His anti-EU Party for Freedom (PVV) has surged to the top of Dutch opinion polls. He wants to stop Muslim immigration, arguing that Islam is incompatible with Dutch values. He wants the Quran to be banned in the Netherlands. He is currently involved in a court case, accused of inciting hatred against Moroccans. In the 2010 general election the PVV won 24 seats, making it the third-largest party. The ultranationalist People’s Party-Our Slovakia of Marian Kotleba entered parliament for the first time this year, winning 14 seats. Kotleba has previously dressed in a uniform modelled on the Hlinka Guard, the militia of the 1939-45 Nazi-sponsored Slovak State. But now he wears corduroy casuals. Immigration was a major issue in the election campaign, even though Slovakia has taken in very few migrants. Robert Fico’s Smer-Social Democracy party won — and he contributed to the anti-Muslim rhetoric. The nationalist Sweden Democrats (SD) have challenged the traditional dominance of Sweden’s Social Democrats, a party associated with generous social welfare and tolerance of minorities. The SD argues for strict immigration controls, opposing multiculturalism. In 2014 the SD became the third-largest party, winning 13 per cent in the general election. But they are shunned by other parties in parliament. More than 160,000 asylum seekers arrived in Sweden in 2015 — the highest per capita rate in the EU. In October 2015 the anti-immigration Swiss People’s Party (SVP) won the parliamentary election with a record 29.4% of the vote. That translated into 65 out of the total 200 seats in the lower house. Switzerland is not in the EU, but is in Europe’s Schengen free-movement area, and has a high population of immigrants compared with its neighbours. Support for the SVP has grown during the migrant crisis. For years the party has pushed for tough immigration controls, using controversial black sheep posters that opponents describe as racist. It spearheaded a campaign to cap EU migrant numbers — and the Swiss voted to do so in 2014. But there is now EU-Swiss legal wrangling over free movement of workers, as the Swiss appear to be defying the Schengen rules.